Building A Tiki Bar: What Should You Know? 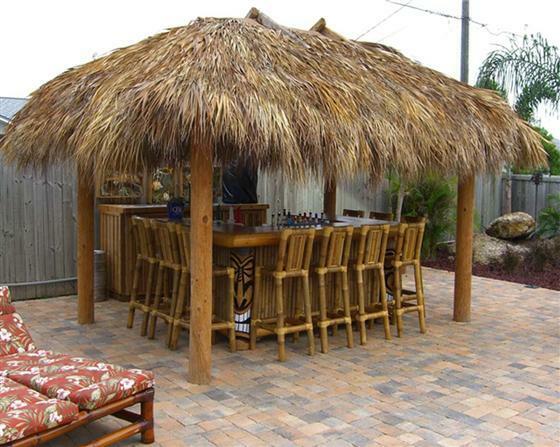 If there’s free space at your backyard and you like to gather your friends, it’s perfect for building a tiki bar. 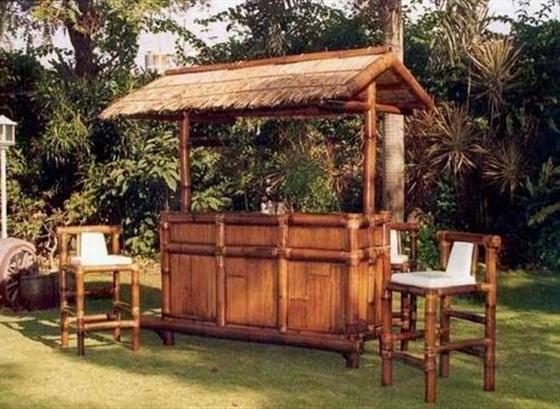 Tiki bar is small hut to make small outdoor party. Building this tiki bar is not difficult and can be done by everyone with basic carpenter skill. If you don’t know how to do it, there are many reference as your guide line. Just follow all instruction to build your small place for outdoor party. Usually this small hut then is decorated in tropical theme to bring tropical lifestyle. Building a tiki bar is not costly, because all materials and tools needed are cheap. For beginner who don’t know step by step way for building a tiki bar, it’s good to find reference first. Some free plans you can get are from Lowes, Popular Mechanics and The Tiki Bar Shop. You can get it online. This reference will give you basic understanding about how to build a tiki bar. Generally, materials for building a tiki bar are: bamboo poles, palm leaves or straw, sturdy table, plywood sheet and bar stools. All these materials are low budget and can be bought at home improvement store or party store, except palm leaves and straw. Usually palm leaves are available atMidwestregion and straw can be found at suburban regions. 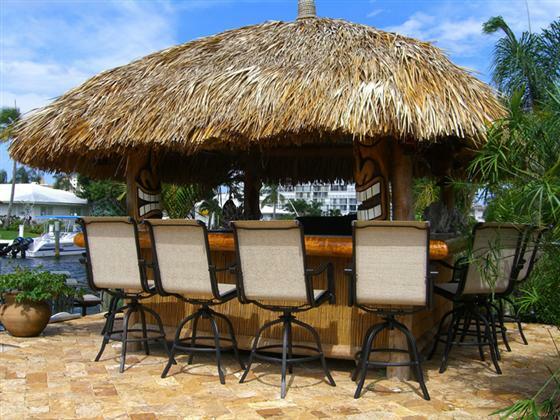 Find the right location before building a tiki bar. Make sure this location has strong soil structure to make sure your tiki bar later will be built strong. Prepare to build all frame for wall and roof. You can use pine, cedar or bamboo for this frame. But usually people like to use bamboo because bamboo is perfect to reflect tropical atmosphere. Dig at least 1-2 feet depth into ground and then put bamboo into it. At least there are four pillars for one tiki bar. Pour cement and gravel into this hole to make stronger construction. To connect all materials each other we can use wire and nail. For roof we can use palm leaves or straw. Choose which is easier to be gotten. Tighten this roof material by wire and then cut all the edge part by knife or scissor to make it tidy. When frame for wall is ready, it’s time to install plywood sheets. Use nail to attach at bamboo. Basic concept of a tiki bar is bringing tropical party lifestyle, so all elements or accessories must be match with this concept. Some matching items are: surfboard, anchor, fishing nets and carved mask. Also use patio lighting to brighten this tiki bar on the night. Prepare frozen drinks, alcohol and turn on music to light up your party. Good if you ask all your guests to wear tropical style dress. Create interesting element at your backyard. A place to make party and gather friends. Make people love home to fulfill holiday time.